The Edina Historical Society has a select number of virtual items available online. Other merchandise - such as books, apparel and postcards -- are available for purchase in person at our Museum Gift Shop or at our School Store. We use PayPal for online credit card processing, but you do not need a PayPal account to place an order. PayPal accepts most major credit cards. Support the Edina Historical Society programs with your annual membership dues. Receive a quarterly newsletter with information on events, history features and great historic photos. We are a 501(c)3 organization; your dues are considered a tax exempt donation under law. Book a history-themed birthday party at our 1864 one room school. 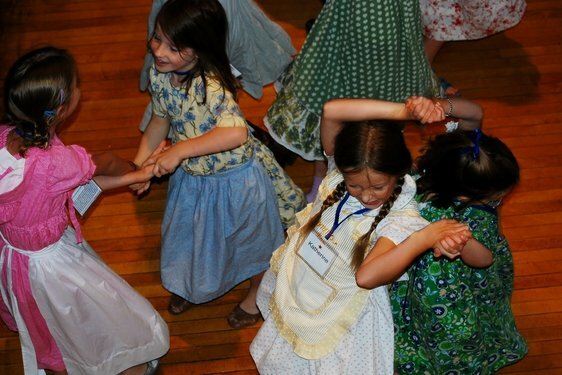 Activities include games and crafts from the late 1800s/early 1900s. Use our lunch room for gift opening and whatever treats you choose to bring for a no-fuss celebration. If you'd like, shop in person at our school store for treat bags. Reservations required. Call 612-888-4577 or email staff to set a time first. Once you have a date, pay by check by mail or with credit card below. Tuesday: 11:00 a.m. - 1:00 p.m.
Thursday (3rd only): 5:00 p.m. - 8:00 p.m.
Saturday: 10:00 a.m. - 12:00 p.m.